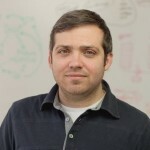 Co-founder of the Center for Open Science (COS) and co-director of SHARE Jeffrey Spies is resigning from his role as COS chief technology officer on March 16, 2018. For the next several months, Spies will devote his attention to SHARE as well as other technological and strategic projects in higher education and libraries. Read more about SHARE v3. Read notes from the workshop in the project space on the OSF. 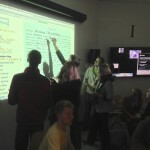 Members of the project team—Matthew Harp, Cynthia Hudson-Vitale, Rick Johnson, Joanne Paterson, Judy Ruttenberg, and Jeffrey Spies—will visit six campuses in the coming months to conduct in-depth explorations with faculty and librarians into DH discovery, including advancing ideas from the February workshop. The team will also publish the workshop proceedings. Video interview about SHARE—Library Journal‘s Open Access in Action series interviewed Judy Ruttenberg in spring 2016 about the evolution of SHARE, including the initiative’s origins, developmental successes and challenges, and how SHARE fits into the global open access movement. EDUCAUSE Review article on SHARE—Tyler Walters and Judy Ruttenberg described in 2014 SHARE’s first project, SHARE Notify, as well as the other three layers of SHARE being developed in tandem with the notification service: a distributed content and registry layer, a discovery layer, and a content-aggregation layer that moves beyond curation and discovery to facilitate data and text mining. 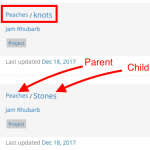 SHARE ReadtheDocs—Access up-to-date information about the SHARE model, data dictionary, application programming interfaces (APIs), prototypes, and other technical development information from this site. The site and SHARE code are open and welcome public input. Wide community input is vital for the success of the SHARE initiative. Contact us with feedback, inquiries, and to join the conversation about SHARE. Sign up to receive this update via email. We are always looking for volunteers for future participation.